Mumbai: Vaccine to prevent swine flu has been administered free of cost to 54000 people in Maharashtra between January and May this year, Health Minister Deepak Sawant said today. During this year, between January and May, a total of 54,216 people have been given the swine flu vaccine, he said. In a statement issued here, Sawant said this number included 41,000 pregnant women and another 9,000 people suffering from diabetes and hypertension. The Health Minister said that Pune division had the highest number of vaccinations at 25,000 followed by Mumbai (12,000), Nagpur (4,000), Aurangabad (3,500) and Kolhapur (2,000). The statement added that there were 31 swine flu patients in the state currently and around 8,000 people were being tested for it daily. 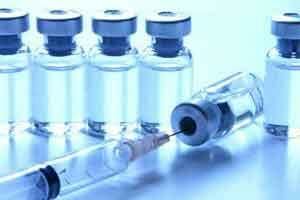 Last year, a total of 42,492 people were administered the swine flu vaccine, officials said. The programme was started in the state in 2015, they added.